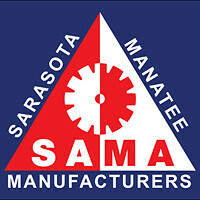 I have been teaching CNC machining for the last 5 years at Suncoast Technical College and have over 30 years experience in the trade. When I started in 1984 the CNC machining centers where just starting to become popular but it was a learning curve. The old time machinists were used to manual machining and did not like the computer driven machines but I think we can see now how important this direction in manufacturing has been. I was curious about the TSA CO2 balsa wood dragster project. 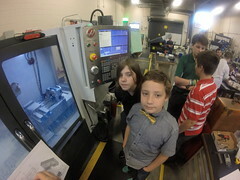 It was not in my teaching area but when I saw that they were working with a tutorial on operating a CNC Router and programming in MasterCam Cad-Cam software it peaked my interest. 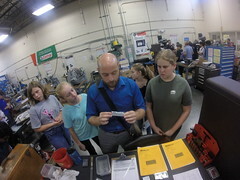 After all we had hosted the president of MasterCam , Meghan West 2 years ago at our school. We teach MasterCam as well as all the CNC machining techniques currently used in industry. 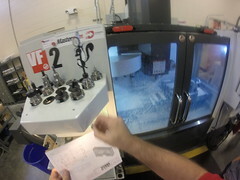 This year I wheeled the Techno DaVinci CNC machine into our lab next to our Haas CNC Milling machines. We got it operational with a laptop. Previously we had done fixture modifications on the CO2 dragster setup as we were not happy in how it worked. So we tried to make improvements. Going back in time 4 years ago we had made a fixture that fit our 4 axis Haas VF 2 CNC Mill to machine a CO2 shell car. We had no knowledge of the Cuda Country tutorials or the CO2 dragster project. A student from a neighboring high school had come by with a MasterCam File and asked if we could machine his block of balsa wood. It was funny because when this student showed up with that piece of wood and a USB drive our question was “how are you going to hold that in a machine ?” He was dumbfounded. So we made our own fixture. Hey maybe more kids will come with projects? Then we learned of this TSA competition. So now we had the Techno Da Vinci in our lab this year. I wanted to become proficient at this so I could show others how to do this successfully. I can’t say I am totally proficient yet but then again you never ever stop learning. So I will go over step by step what you will need to do to increase your success in CNC machining your TSA CO2 dragster. We do not use a hammer on the fixture – we removed the black plate and made our own fixture and used 3 deck screws to hold in place. We used the ball screw on top to get the 180 degree orientation. Then 2 side screws to clamp. Don’t have any screws facing up near the spindle area as the machining area is tight in the Z direction. Set Z0 by tool height. – The Cuda Country tutorial has you set the MasterCam Z0 plane to 34 mm above the cartridge centerline. The Gold end mill tool that comes with the Techno is adjustable. So you need to set this Gold setting tool – It will be used to touch off the 6MM ball end mill a set distance from the table.. We measured 45mm from table to centerline of the IMTS fixture cartridge hole and we have to add the 34mm for the Mastercam plane set in the Cuda tutorial. We used a dial caliper to set the 79mm total height – we use imperial measurement so that was 3.110″ verify your measuring tool as people could play with it and have it out of adjustment. The tool has a setting for a drill but we will skip that tool for now. Its very important to setup and check Config file to make sure it matches your recorded numbers. It may put in a default setting that does not match your numbers. Especially when you do a new program translate. Double check the setup page before you hit the start button. We use ‘Y” for home before run and “Y” to home after run. Note the pics of the setup config. The 6 mm ball mill should be extended about 1.25″ out from the collet. You may need to move the spindle motor bracket up so that you have adequate clearance above part and fixture. Cuts on top and bottom – We usually just make a left and a right side cut. we have seen some designs that needed top cut and bottom cut. This is also time consuming and may require special tooling to go deeper than original plan. We have seen many files and heard stories of the cutter coming around the back where the CO2 cartridge hole is and crashes into the fixture. Please do a verify in graphics to see any errors. In machining Solid models that Cad Cam program software like MasterCam will try to machine everything it has access to. You may need to set a boundary so the tool path does not wander into areas that may support the part or the work holding fixture it self. The Cuda Country tutorial has you make a small solid rectangle in MasterCam to keep from machining the nose of the car. the car needs some support up front so this will be a check boundary. We have done similar method in the rear by copying the same rectangle solid and transforming it to the rear to create another boundary on MasterCam student programs that missed this technique. 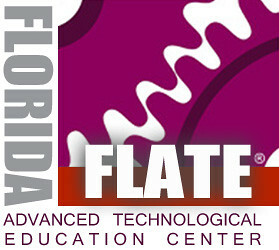 We can also review your project in Solidworks and or Mastercam – Plus we will have Online MasterCam training available to all Sarasota County teachers. This entry was posted in Machine Shop and tagged CO2 Dragster, Cuda Country, MasterCam, Sarasota County Schools, Solidworks, Techno CNC, TSA. Bookmark the permalink.